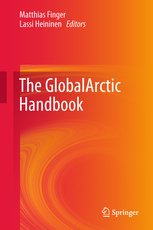 “The GlobalArctic Handbook” edited by Matthias Finger and Lassi Heininen was published in July by Springer. Postdoctoral researcher Sanna Kopra wrote a chapter for the volume, titled “Climate Change and China’s Rise to Great Power Status: Implications for the Global Arctic”. China’s rising great power status will shape the contemporary international order and generate transformation in international practices including in Arctic governance. This chapter investigates China’s emerging great power status and its implications for the Global Arctic, focusing in particular on China’s climate policies. The chapter asks whether and to what extent China’s Arctic engagement is motivated by climate change mitigation. This entry was posted in 2018, ARKTIKO, Publication on 6.8.2018 by Elena Gorbacheva.